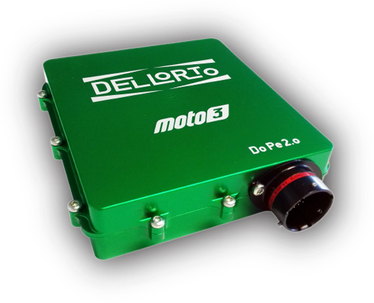 DoPe is the electronic control unit developed by Dellorto for the MOTO3 class; a product that marks an important step for Dellorto that, in the last 10 years, focused its strategy on the electronic injection systems. 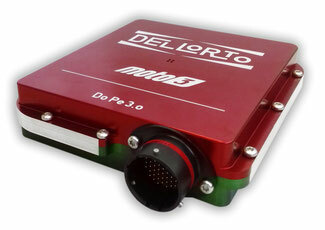 The ECU DoPe has been developed in two versions: FACTORY and RACE. The RACE version is designated to be used during the races and is equipped with a rpm limiter, set to the value defined by the championship organizers. The FACTORY version is designated to development activities and allows the calibration in real time.